Over the years I have developed quite a reputation on the speaking “circuit” as someone who has a “good memory” for names… I always deny this! I prefer to say I have a “good imagination” – and that I use a “system” – allied to hard work to make it look easy! The truth is … anyone can remember anything if they a) pay attention b) use their imagination to encode the information and c) review it frequently. I will develop the techniques I use in more detail in future blogs – but here is how I used the above to learn the names of all the delegates at a recent conference, attended by delegates from 20 countries – before I had met them! I had been invited to act as conference host, and in my pre-event preparation had been sent a delegate list. While I always read these to be familiar with everyone’s name – on this occasion I saw that the names were all accompanied with a thumbnail photo. As a challenge – I decided I would undertake to commit them all to memory before the conference! Totally unnecessary of course … and certainly not in my job brief – but I always enjoy pushing the boundaries and “adding value” wherever possible – which is part of my “under promise – over deliver” philosophy! I used a technique that I had read about – and seen on a documentary – which the legendary Scottish rugby union commentator Bill McLaren would use to learn the names of all the players and replacements involved in a match. Bill would write each name on a separate blank card – together with any information about the player – and on the other side he would write their playing number. He would shuffle the cards so they were in a random order and then deal through them with only the numbers showing and try to recall the player’s name and details on the other side. By constant repetition he would eventually come to know instantly which number referred to which player – together with the biographical information relating to their physique and playing career. 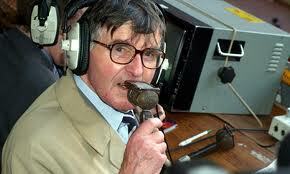 Thus when he was commentating he could seamlessly describe a passage of play without hesitation. To the viewer it seemed “effortless” – but in reality it took great effort and hard work to make it seem so! Sadly Bill passed away in 2010. Bill also used to write out all the information on one large sheet of paper – colour coded – so he could also see it all at a glance. Today we would call it a “spreadsheet” – however his family simply referred to them as “Bill’s Big Sheets”. Replicas of these are collectors items, and are sold to raise funds for the Bill McLaren Foundation – a link to which is at the bottom of this post. So what I did was to cut out all the thumbnail pics of the delegates – and on the other side write down the name, country and company of the person pictured. Then I would deal through them looking at the faces and try to remember their names. (I used some memory techniques to make this easier – see later posts for details!) It was slow at first – but gradually I built up speed so that I could deal out the pictures without hesitation (like my hero Bill!) and call the names as I did so! I repeated this over a few days – and in moments of “dead” time – in the passenger seat travelling to the airport, waiting in queues, in flight and so on. By the time the conference started – I knew everyone! I used this subtly … and did not make a “thing” of it. So when (for example) we were doing Q&A and someone put their hand up – I would mention their name – and where they were from – and then proceed as normal with the question. I would also use their names if I met them around the conference venue – at coffee time, in the lift, and at social events. Gradually it dawned on everyone that it was not just a few names I knew – but everyone – and as you can imagine this became quite a talking point during the conference! So thanks Bill! 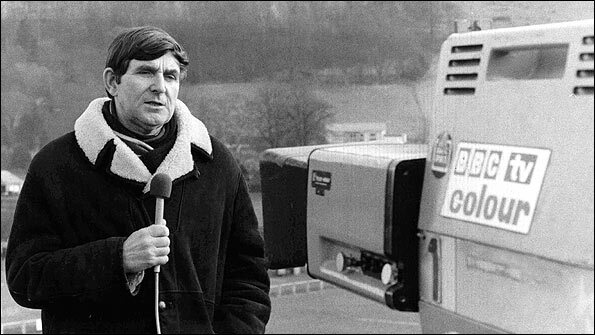 “Bill was the best commentator the game has ever seen … his commentary genius was no ‘fluke’ as he spent hours in preparation learning everything there was to know about the game, players, referee, groundsman, team doctor, stadium and so on. “…Then his eyes went back down to his homework and that pack of shuffled cards that was his tool to make numbers become names; “Vaccari to Troncon…” It was astonishing. To listen to his voice, a voice which could be operatic at times, was to understand half the story. You had to see the work he put in to each commentary. He would watch teams train and then produce a huge sheet with facts, figures, try data, an opener, two closers and phrases all written by hand in multiple colours of ballpoint ink. So in conclusion, what I liked about Bill was not just his passion for the game and his wonderful turn of phrase, but the fact that he wasn’t known overtly as a “memory man” – just as an incredibly professional and knowledgeable commentator. What the above shows however – is that this was only achieved through dedication, hard work and having a system – in other words his art was to conceal the art. A true inspiration! Visit the Bill McLaren Founation (where you can also see samples from some of his “Big Sheets”). Also check out my Hosting Case Studies – and take a look at what others have said about my hosting skills! Also check out the Case Study describing my recent talk on “Memory Skills for Business” !